BOCA RATON – While Lane Kiffin says he doesn’t know FAU’s bowl destination, he knows where he’d like to play. Kiffin coached in three Rose Bowls as an assistant at USC, but he realizes FAU won’t be heading to Pasadena this year. Heading into Saturday’s Conference USA championship game against North Texas, much still remains to be settled when it comes to determining the destination of the Owls’ first bowl trip since 2008. Conference USA has tie-ins to six bowls: the Boca Raton Bowl, the New Orleans Bowl. the Bahamas Bowl, the New Mexico Bowl, the St. Petersburg Bowl and the Heart of Dallas Bowl. C-USA also holds a secondary agreement with the Independence Bowl, which would stand to have an open spot should the SEC sends two teams to the College Football playoffs. 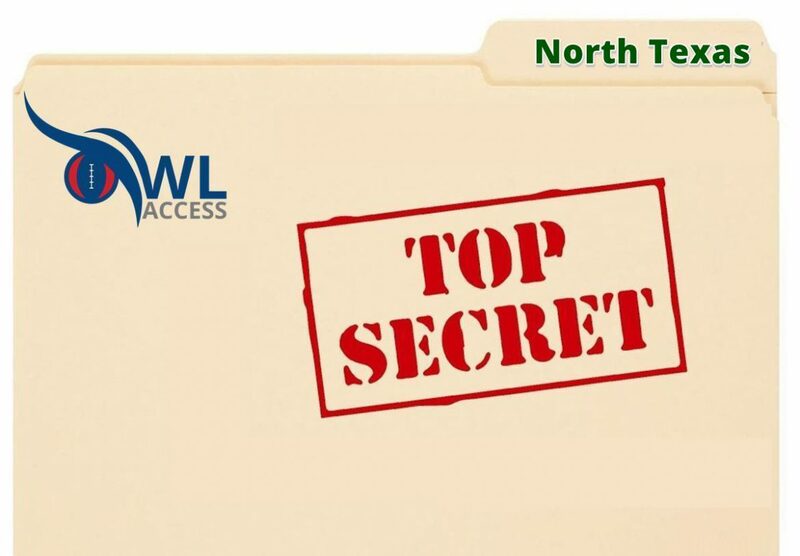 Sources tell OwlAccess.com that FAU is interested in playing the biggest-name opponent the Owls can find. Administrators have made contact with representatives from multiple bowls outside the seven mentioned above to lobby for an invitation. Should FAU win on Saturday, the Owls would have first choice of bowl game from among the bowls that offer them a bid (every bowl with tie-ins to Conference USA isn’t required to extend a bid to every bowl-eligible team from the conference, not even to the C-USA champion). FAU won’t be playing in the Bahamas Bowl – UAB and Ohio already accepted bids to that game, doing so early to ensure the schools are able to obtain the necessary travel documents for their players and staff. The remainder of the bowl invitations and pairings won’t be announced until Sunday. 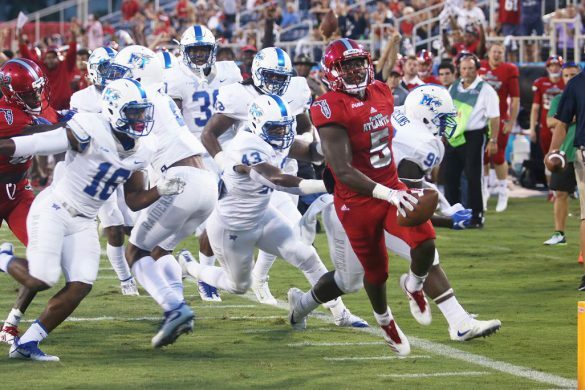 While the Boca Raton Bowl is considered a premier destination by most Conference USA teams – C-USA champion Western Kentucky elected to come to Boca last season – ideally the Owls don’t want to play at Howard Schnellenberger Field, and they won’t be the Boca Raton Bowl’s choice. Florida Atlantic would prefer not to play in the Boca Raton Bowl, opting instead to double the school’s television exposure by playing in a different bowl one night and gaining publicity a second time when the Boca Bowl is televised. The Boca Raton Bowl would prefer an out-of-town team, ideally South Florida, because it has a vested interest in bringing a team whose fans will rent hotel rooms, eat at local restaurants, etc. Plus, Boca Bowl officials know full well that FAU doesn’t yet have the fan following to fill the stands. The Owls aren’t too keen on the idea of returning to the New Orleans Bowl, where they earned their first bowl victory back in 2007. Played on Dec. 16, that game is held on the first day of bowl season and will pit a Conference USA team against a Sun Belt team. FAU would not view a game against a Sun Belt opponent as playing the best competition possible. Should they want to play the highest ranked team, that likely would dictate a match-up against South Florida, probably in the St. Petersburg Bowl. That same match-up, a C-USA representative vs. an AAC representative, is also available in the Boca Bowl, too. If FAU defines “best team available” as a school from a Power 5 conference, one with name recognition in the football world, the Owls could opt for the Heart of Dallas Bowl, if invited, where they would face a Big 12 team – likely Texas Tech or Kansas St. Played on Dec. 26, the Heart of Dallas Bowl is the latest of the C-USA bowls on the schedule. FAU could end up in the New Mexico Bowl, but it’s difficult to see that bowl being eager to pit FAU against a Mountain West team. With Kiffin as coach, the Owls will draw television viewers, but bowls are generally more interested in putting fans in the stadium seats. With a traveling fan base that could struggle to break double digits, that’s a major strike against inviting FAU as far as bowls are concerned. That’s why a potential FSU-FAU match-up in the Independence Bowl, should Florida State beat Louisiana-Monroe this weekend to become bowl eligible, may be wishful thinking for FAU fans. Even if all tumblers fall into place allowing for that match-up to happen, Independence Bowl organizers probably won’t count on too many Seminole fans going out of their way to support a team most have already written off by traveling to a middle-tier bowl. That could prompt the Independence Bowl to invite a C-USA team like Louisiana Tech or Southern Miss, teams with strong enough fan bases that they could entice supporters to make a relatively short drive to Shreveport, La. for the Dec. 27 game. All of this speculation is new to Kiffin, who spent the past three seasons as Alabama’s offensive coordinator before taking over the FAU job this season. A rematch from Oct. 21, the second meeting between FAU and North Texas has a bit more meaning. This is both North Texas and FAU’s first ever in the C-USA title game. Since joining the conference in 2013, both teams have under a .500 record overall. 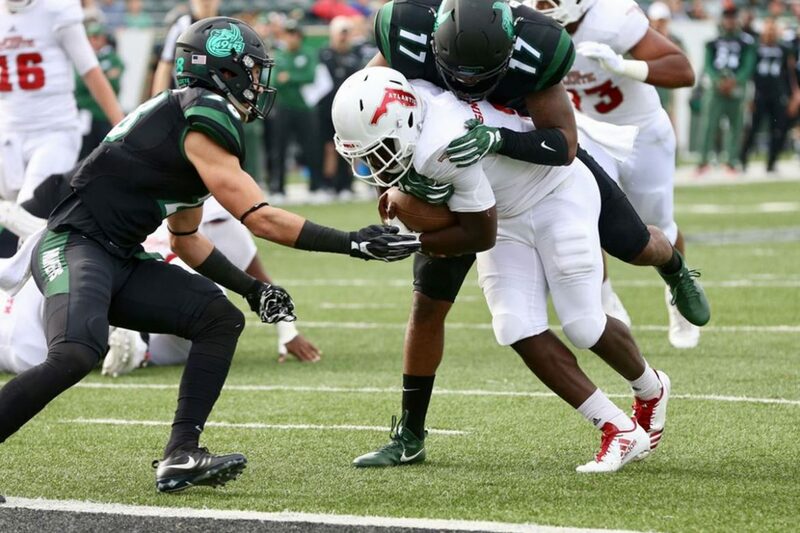 UNT started off going 9-4 back in 2013 including a 6-2 conference record, then it went down hill with a 4-8 record in 2014 and a conference worst 1-11 in 2015. 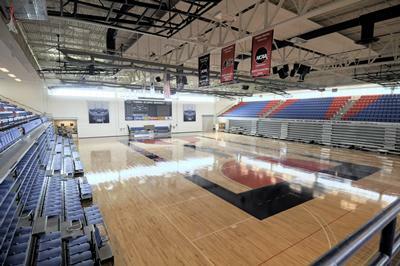 Saturday’s championship game will be a bit different for FAU than the first meeting. UNT starting running back Jeffrey Wilson has been ruled out of the title game after suffering an foot injury two weeks ago against Army. FAU has to face his replacement, Nic Smith, who saw some action against FAU the first time but can make his mark this game. Another player who is questionable for UNT is receiver Jalen Guyton. He left the Army game with a concussion, but if he plays on Saturday Guyton will need t account for him. FAU blew out North Texas 69-38 in the first meeting, but UNT is 5-0 since that loss. Lane Kiffin doesn’t recall ever playing a team twice in a season. Does a second meeting make it easier to prepare? Even without Guyton and Wilson, the Mean Green offense still runs the same spread formation. The Mean Green boast the second-best offense in Conference USA, behind only FAU. If the Mean Green get out to an early start look for them to give Smith the ball a bunch. If FAU jumps out early they will leave the ball in Fine’s hand. 6 Mason Fine, QB – The starting quarterback for the Mean Green struggled against FAU last time they played. 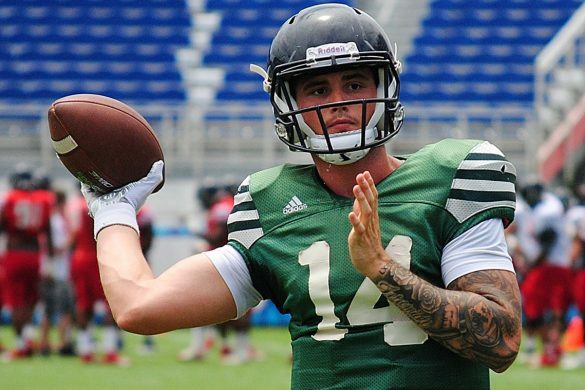 He threw two interceptions vs. FAU and had 283 yards passing with two scores. Besides that game he has had a solid year, throwing for 3,393 yards , 27 touchdowns, and 11 interceptions. Against Army two weeks ago he threw for 386 yards and four touchdowns. 9 Jalen Guyton, WR – Mason Fine’s favorite target this season is questionable for this game but is a player the Owls need to account for. FAU did that in the first meeting, holding C-USA’s leading receiver at the time catchless. Guyton left that game with an apparent injury, finishing the game on the sidelines. He left the Army game with a concussion and missed last week but is now listed as questionable for FAU this week. For the season Guyton has 47 receptions for 758 yards and nine touchdowns. 21 Nic Smith, RB – Replaces the dominant Jeffery Wilson as the Mean Green’s primary ball carrier. On the year Smith has 118 rushes for 615 yards and six touchdowns. In the previous meeting against FAU, he had eight rushes for 25 yards and no touchdowns. As the starter in last week’s win over Rice, he ran for 178 yards and a touchdown. North Texas runs a 3-4 defense but last time they played FAU, they had a hard time stopping the Owls. Singletary was able to rush for three touchdowns and Driskel threw for a season high 357 yards and two scores. The UNT defense ranks No. 84 in the nation in total defense giving up 414 yards per game. Last time they played, FAU put up 804 total yards against them. 22 E.J. Ejiya, LB – The leading tackler for the Mean Green with 93 total tackles, Ejiya recorded 12 tackles against FAU in the first meeting. He is also going to be one of the main guys trying to stop Singletary, and has eight and a half tackles for a loss. 6 Kishawn McClain, S – The second leading tackler for the Mean Green, McClain had 11 tackles in the first meeting with FAU. He also is second on team in tackles with 84 and interceptions with one. 37 Brandon Garner, LB – Another run stopper for the Mean Green, last game Garner had five tackles. On the season, he has two sacks and 6.5 tackles for a loss. He can also defend the pass as he has three pass deflections and three pass breakups. 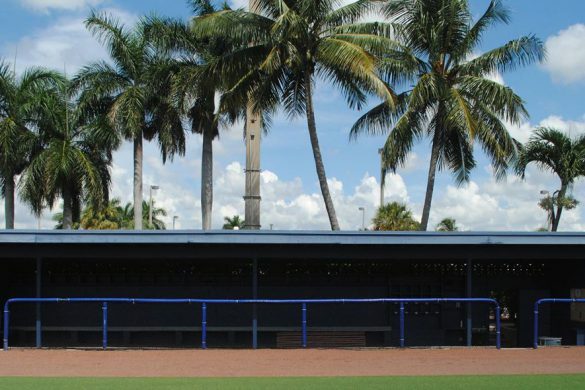 BOCA RATON – FAU is in uncharted territory. On Saturday the Owls host their first-ever Conference USA title game with the hopes of claiming their first conference championship since 2007, when Florida Atlantic still played in the Sun Belt. FAU enters the game after capping an undefeated run through Conference USA play by defeating Charlotte 31-12 on Saturday. That performance became a tale of two halves. 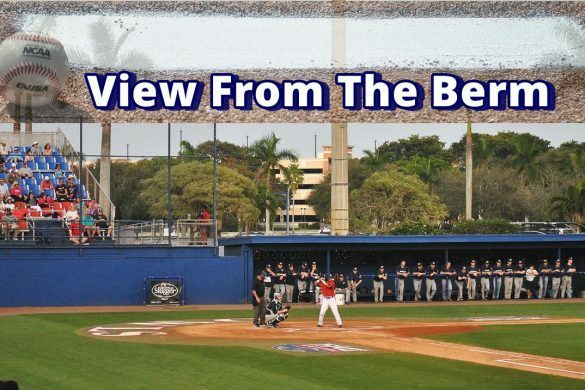 FAU quickly removed all doubt about which team would win, but the Owls trudged through a mucky second half – prompting as much disappointment as satisfaction from the postgame Owls. Could that poor second half actually benefit Lane Kiffin and FAU this week against North Texas? 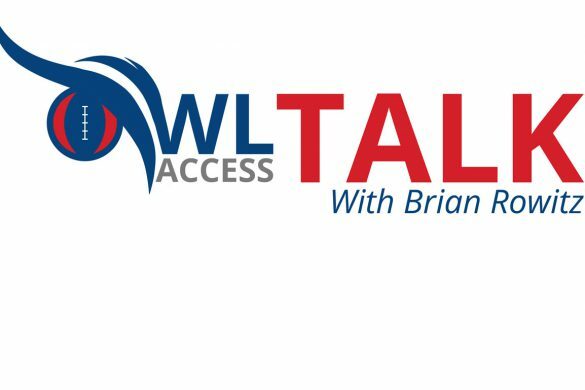 That’s one of the topics discussed this week on OwlTalk with Brian Rowitz – the first and still finest FAU football podcast. Rowitz and our Chuck King also discuss what a C-USA title would mean for the football team, the school and the community. They also delve into FAU’s tight end position, the one spot where injuries are taking a toll on the Owls. 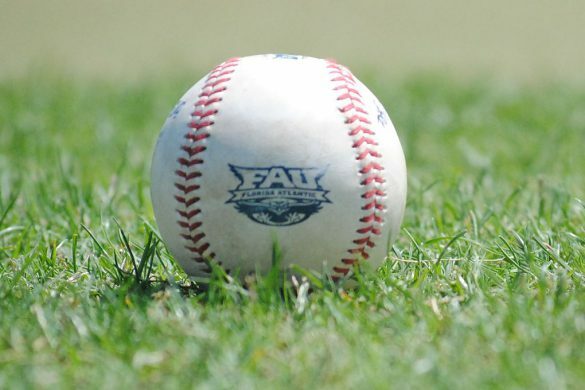 The duo even discusses how losing a parking spot to Joe Girardi provided the opportunity to discuss the future of FAU football with the former major league player and manager. So take a few moments to prepare for Saturday’s Conference USA championship game by listening to OwlTalk. It’s some of the best information you’ll receive heading into the title game. 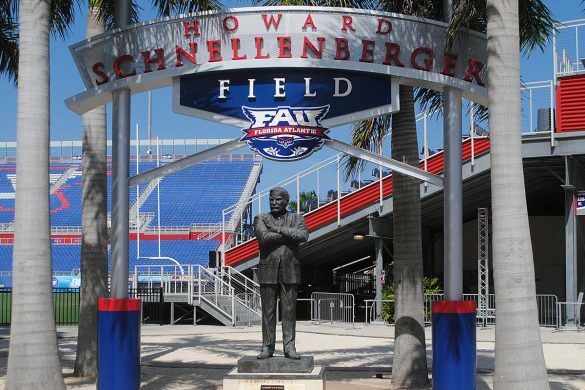 The Conference USA game featuring FAU and North Texas kicks off at noon on Saturday from Howard Schnellenberger Field. ESPN2 will broadcast the game. The C-USA title match won’t be the final game of the season for the Owls. FAU will also play in a yet-to-be determined bowl game. The destination and match-up will be announced on Sunday. Tiger’s Tale John Franklin's former team, Auburn, could soon be playing for a national title, but the graduate transfer says FAU is where he's supposed to be. 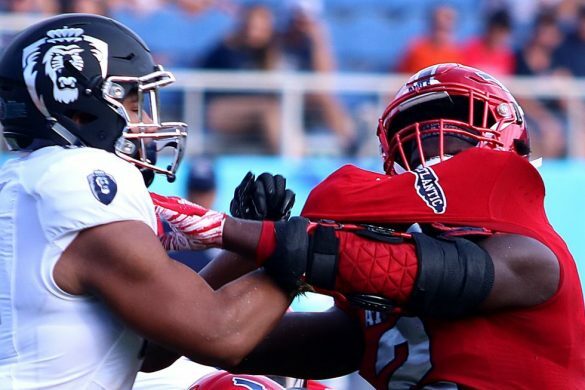 BOCA RATON – John Franklin says he doesn’t regret leaving a team that may be about to play for the national title to help FAU reach its first-ever Conference USA title game. One of the stars of the first season of the Netflix Docu-series “Last Chance U,” Franklin transferred to Auburn, where he played for a season before joining FAU a couple weeks before the start of the season. That doesn’t mean that Franklin isn’t paying attention to what’s happening at Auburn. “I still talk with the guys quite a bit,” Franklin said. “I’m proud of them. I went through a lot with them. They are like my brothers still to this day. I’m glad to see them doing good and in a great position. [Winning the SEC Championship] was the goal that, when I was there, we set from Day 1 after the season last year and to see them accomplish it right now I was happy for them. Auburn defeated then-No. 1 ranked Alabama on Saturday to clinch a spot in Saturday’s SEC championship game. With a win there, many expect the Tigers to earn a spot in the NCAA’s four-team playoff. 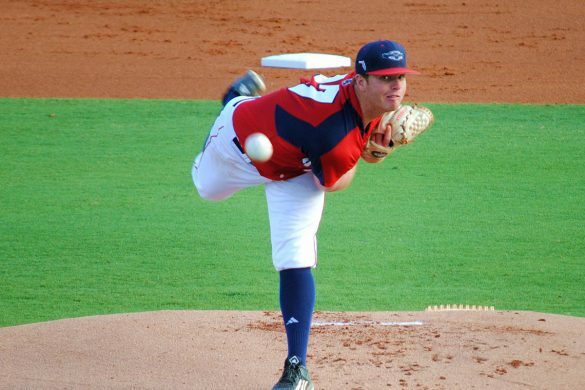 Shortly before the Tigers win, Franklin helped FAU complete an undefeated run through Conference USA play. 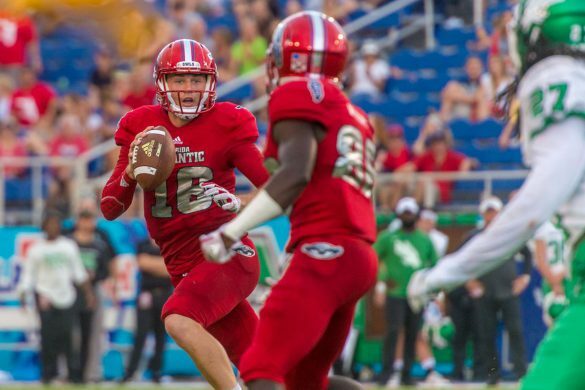 The graduate transfer carried the ball three times and caught one pass in FAU’s 31-12 victory over Charlotte that gave FAU its eighth consecutive win. A former quarterback who converted to wide receiver at Auburn and remains primarily a wideout at FAU, Franklin stepped behind center several times against Charlotte, offering multiple chances to flash his game-breaking speed. Franklin may get even more opportunities to run the offense on Saturday. 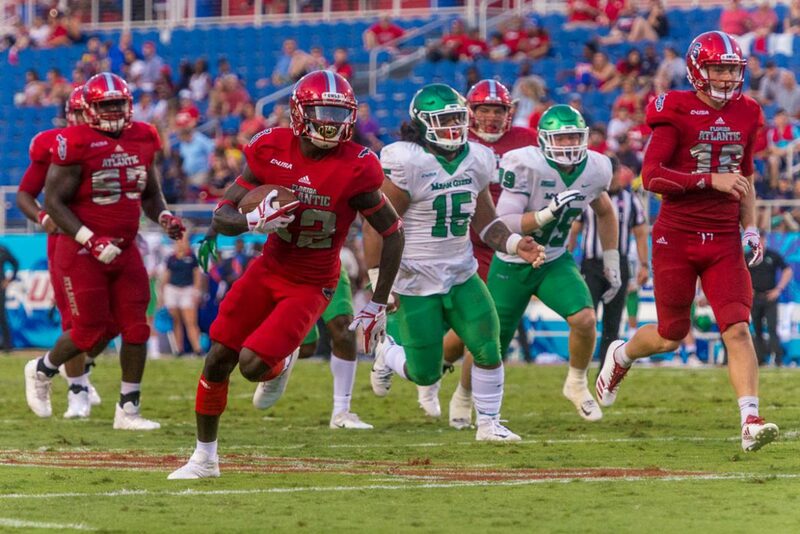 In the first meeting of the season against North Texas, FAU’s opponent in Saturday’s C-USA title game, Franklin ran for 69 yards, taking one carry 55 yards for one of his two touchdowns on the season. He also caught one pass for 20 yards – his longest reception of the season. 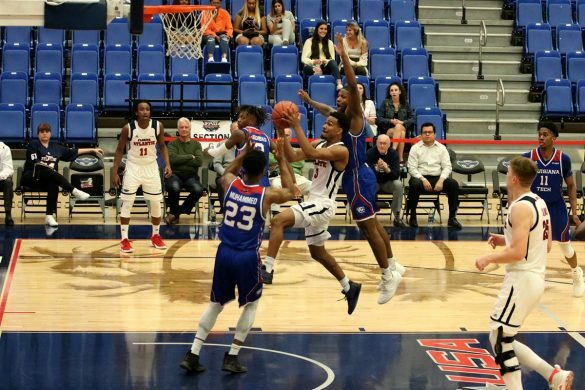 Franklin wasn’t the only FAU player who held more than a passing interest in a game outside of Conference USA last weekend. Defensive tackle Jeremia Taleni, a graduate transfer from Pitt who arrived during fall camp, watch the Panthers deal undefeated Miami its first loss. BOCA RATON – Former Major League Baseball player and manager Joe Girardi, recently released as the New York Yankees skipper, isn’t spending what could be a temporary retirement playing golf in Florida. 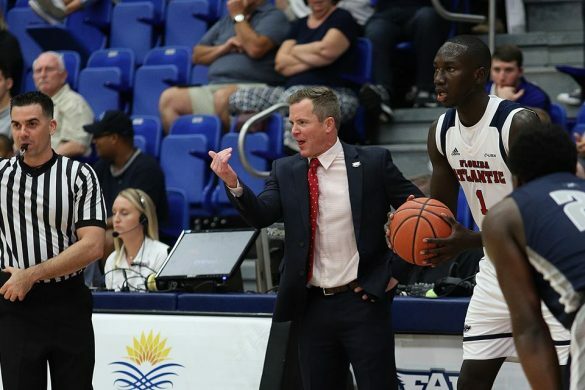 Instead he’s spending as much time as anyone aboard FAU’s Lane Train – and he thinks the longer the train steams along the greater the chance more members of the Boca Raton community hop on board. For the first time in a decade, winning hasn’t been a problem for FAU. Under first-year coach Lane Kiffin, the Owls head into their first-ever Conference USA championship game winners of nine games for the first time since moving to the FBS level. Girardi has a residence close to campus and first met Kiffen during the coach’s time as offensive coordinator at Alabama, where he spent three seasons before heading to FAU. 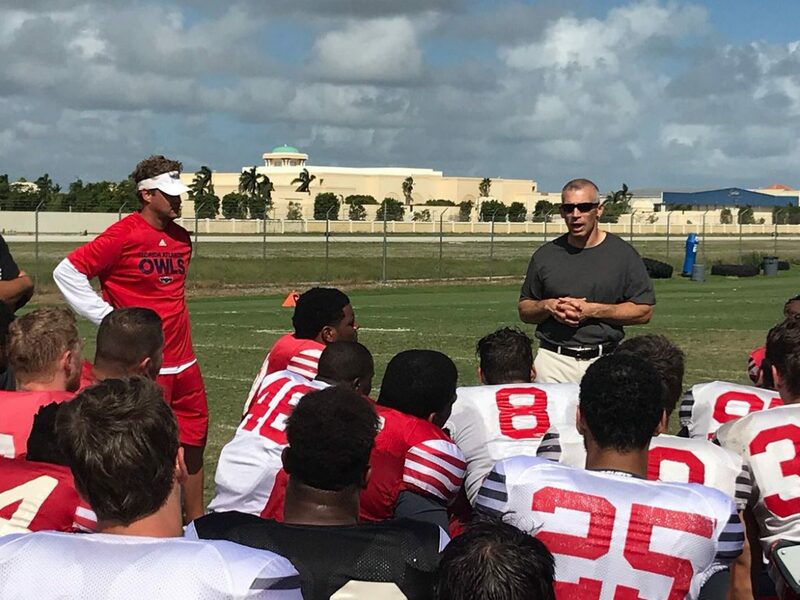 The former major leaguer addressed the Owls after one practice prior to FAU’s Shula Bowl victory over FIU, telling them to embrace the moment. Girardi attended that game, speaking with Kiffin on the field prior to kickoff. On Tuesday Girardi brought members of his family to practice once again. “Next to baseball, college football is my passion,” Girardi said. Girardi hopes to attend Saturday’s C-USA championship, a noon kickoff in which FAU faces North Texas at Howard Schnellenberger Field. The Owls already own a victory over the Mean Green this season, crushing them 69-38 on Oct. 21. Also 9-3, North Texas won all five games after that meeting en route to winning the C-USA’s West Division. In recent weeks FAU games have become somewhat of a celebrity destination. Miami Dolphins running back Kenyan Drake, who played for Kiffin at Alabama, attended FAU”s victory over Marshall. So did former NFL quarterback Daunte Culpepper. Thus far, Giradi is the only high profile guest to have won World Series titles as a player and a manager. If a baseball team doesn’t come calling this winter, would Girardi entertain the idea of joining Kiffin’s staff? 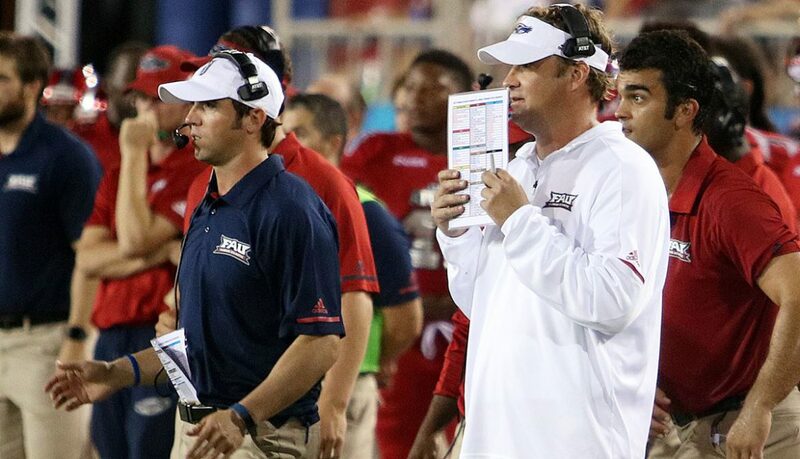 BOCA RATON – Having led FAU to a 9-3 record and it’s first Conference USA championship game appearance, Lane Kiffin is currently a popular name for those speculating about names that could fill coaching vacancies. Kiffin’s status is a topic of interest – he joked on Tuesday that he entered a team meeting late, offering the excuse that he was on the phone with Tennessee – but offensive coordinator Kendal Briles’s name could become more prominent, shortly. That may have been the plan for Briles when he accepted the job. After leaving Baylor amid the schools sexual assault controversy – a scandal to which Kendal Briles’ name has only been tangentially attached – Briles signed a one-year contract on Jan. 3 to be FAU’s offensive coordinator. Except for defensive coordinator Chris Kiffin’s three-year deal, all of Kiffin’s other assistants signed two-year contracts. Even with the Baylor scandal still smoldering leaving Briles future in football uncertain at best, it was Briles, not FAU, who requested the single-year deal. There’s no question Briles’ offense is producing for FAU. The Owls’ completed the regular season averaging 39.8 points per game, tenth best nationally. The 480.2 yards of offense FAU averages per game ranks No. 16. Known more for a passing offense, Briles showed his offense can adapt to differing personnel by taking advantage of Devin Singletary and Buddy Howell to average 283.4 yards per game on the ground – sixth best nationally. Some Power 5 coach is likely to take notice, and that school will certainly be able to top the $350,000 Briles made this year to make him a Power 5 offensive coordinator. Or perhaps a school like UTEP or South Alabama might be daring enough to give the 35-year-old Briles his first head coaching chance. Either way, should Briles accept a position elsewhere and leave Boca Raton prior to FAU playing in its yet-to-be-determined bowl game, the Owls could be left in quite a lurch. Kiffin said last week that he’s “all in” on Briles’ offense. He knows the terminology, the language of the offense and could call the plays if he needed to, but admitted he doesn’t know the signals for each play. And he can’t simply refer to the playbook because, well, Briles’ Baylor offense doesn’t have a playbook. Having someone signaling plays who isn’t as fast as Briles would potentially remove one of the great advantages of the Baylor offense. Briles contract runs through December 31 of this year. If no action is taken by either Briles or FAU, it will be automatically renewed for another year on Jan. 1, 2018. BOCA RATON – The best game of D’Anfernee McGriff’s young career showcased the tremendous upside possessed by the FAU tight end while also exposing at least one his current shortcoming. McGriff caught three passes for 48 yards in Saturday’s victory over Charlotte, shaking some defenders, speeding away from others. What did FAU coach Lane Kiffin take away from McGriff’s performance? All three of McGriff’s catches game on the same third-quarter drive. He caught Jason Driskel’s first pass of the second half, taking it 23 yards. Three plays later the duo hooked up again, this time for 17 yards. Two plays after that McGriff caught an eight-yard pass, taking it to the Charlotte 1. Kiffin thought a better-conditioned McGriff would have powered into the end zone. That touchdown drive, the Owls’ final scoring drive of the game, covered 69 yards on eight plays, taking only 2:36 off the clock. Kiffin noticed McGriff wearing down prior to his final catch. Listed, perhaps generously svelte, at 6-foot-1 and 215 pounds, McGriff said he actually arrived at FAU in the summer weighing in the neighborhood of 240 pounds. With his current composition, McGriff looks the part of a pass-catching tight end. He’s a big target with strong hands, but also possesses deceptive speed and elusiveness – two traits not commonly associated with the position. 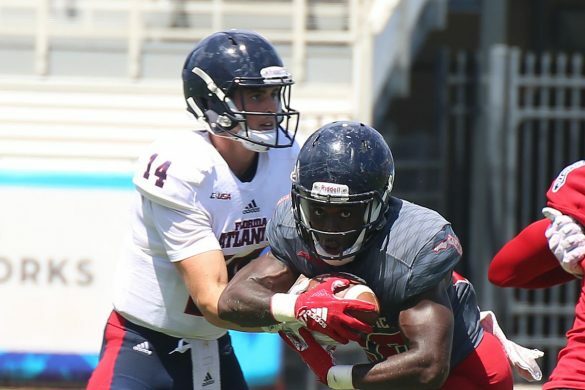 A sophomore in his first year at FAU, McGriff began the season as a wide receiver but moved to tight end when receivers Kamrin Solomon and Kalib Woods returned from suspensions, creating a glut of wide outs. McGriff had only four catches on the season heading into Saturday’s game, with his lone touchdown coming the previous week against FIU. An ankle injury to starting tight end Harrison Bryant, along with a lingering undisclosed injury to John Raine elevated McGriff from fourth string to the two deep, behind Dustin Bowens, for the Charlotte game. He may well remain there for Saturday’s Conference USA championship game against North Texas. Kiffin didn’t offer any specifics regarding Bryant’s – or anyone else’s – availability for Saturday, falling back on the vague hope-he’s-available coach speak. “That’s why everybody’s got to be ready, whether you think you are going to play one play or 100 plays – you never know,” Kiffin said. 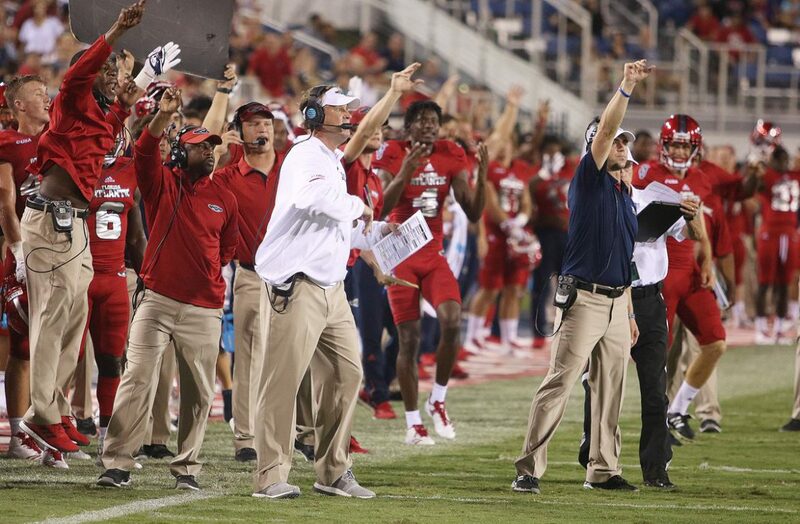 BOCA RATON – FAU completed an undefeated run through Conference USA play on Saturday by defeating Charlotte 31-12. Each week we review the previous day’s games, searching for the positives and negatives. Against the 49ers, the Owls won but didn’t play their best game. 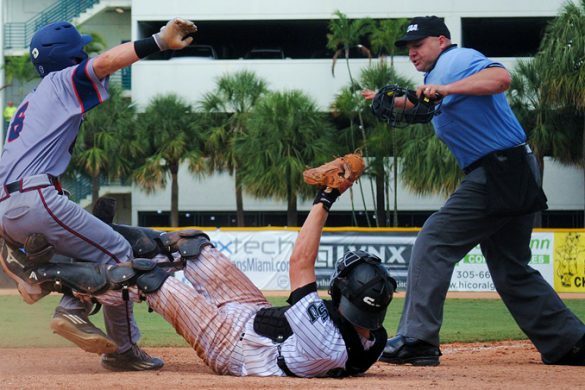 Still, FAU will play a postseason game – actually two postseason games – this season. Next up: Saturday’s Conference USA Championship game against North Texas at Howard Schnellenberger Field. After that? A yet-to-be-determined bowl game. Chuck King: FAU didn’t play particularly well in any phase of the game against Charlotte. Devin Singletary got his 100 yards and two more scores, but he also fumbled once. Jason Driskel threw for nearly 250 yards but only completed five passes in the second half. The defense looked sluggish. Yet FAU still managed to win the game by more than two touchdowns – a testament to how different this team is from years past. 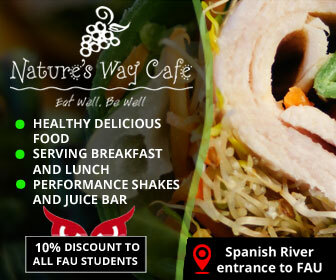 FAU now wins games even when it doesn’t play well. Matt Wilson: Willie Wright had nine receptions for 103 yards and a score. In his last two games combined he totaled eight receptions for 48 yards. I was expecting more catches from him next week as he eight receptions for 141 yards and a score in the first meeting with North Texas. It’s nice to see that Driskel has many different targets he can throw to and it helps expand the passing offense, which has gotten better. King: FAU made a concerted effort to get freshman wide receiver Willie Wright into the game and he delivered. Wright caught nine passes 103 yards, including a 44-yard touchdown. He was also credited with three runs for 37 yards. FAU coach Lane Kiffn and offensive coordinator Kendal Briles are finding more ways to get Wright involved in the offense, which has to be disconcerting, especially to a North Texas team he torched earlier in the season. Wilson: Once again the player of the game is quarterback Jason Driskel. He had a solid game, going 18-for-22 for 245 yards and two scores. He was also able to add 40 yards rushing, too. Since the Buffalo game, Driskel has shown that he can be more than a game manager. 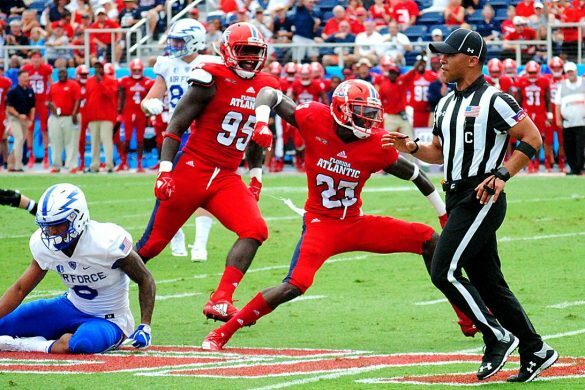 King: FAU’s running backs lost two fumbles on Saturday, but Buddy Howell’s turnover shouldn’t have been one. Replays showed Howell was down before losing the ball, but even after a review the replay official couldn’t make the proper ruling. Charlotte converted the turnover into six points. Fortunately for FAU, Charlotte wouldn’t get any closer. Wilson: FAU elected to try to convert four fourth down plays into first downs – twice late in the game. With a 31-12 lead there is no need to do that. Kicking the ball would have been the accepted play. It is obvious that Kiffin does not like to punt, but if you are punting in the first half, which FAU did once, kicking is probably the correct choice in the second half. 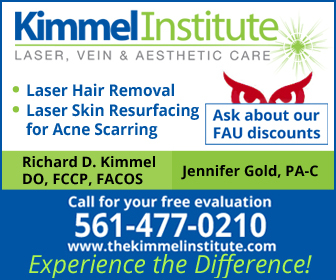 King: FAU ended the regular season with a 9-3 record, same as Notre Dame, Virginia Tech, Stanford, Boise St., and LSU. The Owls have a better regular-season record than Florida St. Florida. Syracuse, Texas, Oklahoma St., Michigan, Nebraska, Oregon, Tennessee, Mississippi St., Texas A&M and Arkansas. Central Florida and Wisconsin, both of which are undefeated on the season, are the only teams other than FAU to post unblemished conference records. 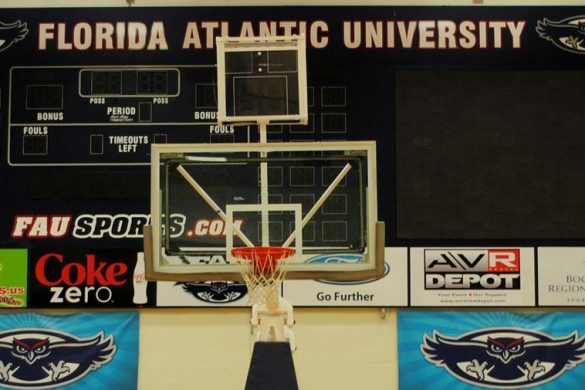 Mighty lofty territory for Florida Atlantic. Wilson: This was not the best performance for the Owls this year against what may be the worst team in FBS football. FAU seemed like it was looking forward to the C-USA championship game. The Owls need to bring back the FAU defense that destroyed North Texas earlier in the year. But a positive from the game is Kiffin is now tied for second in career wins at FAU with nine. Usually bouncing and boisterous, the calm in FAU’s locker room following the Owls’ 31-12 victory over Charlotte belied their accomplishment. 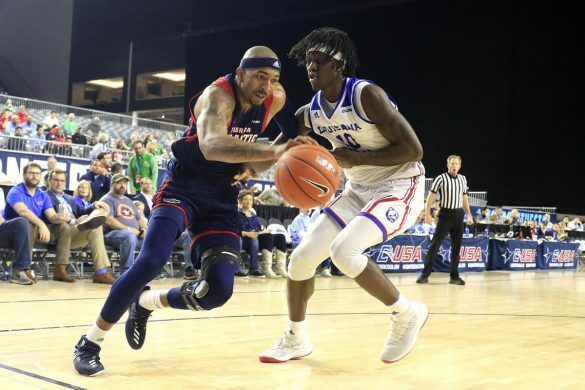 FAU completed an undefeated run through Conference USA play, but the Owls weren’t happy with the way they played – especially in the second half. They would not dance following the victory, as is their custom. They didn’t even sing the fight song in celebration. “I think it speaks volumes to the standards of the assistant players and coaches,” Lane Kiffin told ESPN West Palm. Charlotte never truly threatened to knock off FAU, but misfire after misfire dismayed most everyone on the Owls sidelines. Leading 24-6 at the half, FAU (9-3, 8-0) plodded through the final two quarters, claiming their eighth consecutive victory. Devin Singletary’s second rushing touchdown of the day, this one from one yard out, came on the Owls’ first drive of the second half and gave him 26 on the season. But Singletary, then Buddy Howell fumbled on consecutive drives. Howell’s fumble, coming on a play where he appeared to be down, set up Charlotte’s second touchdown – a seven-yard Hassan Klugh keeper. Charlotte threatened to trim FAU’s lead to two possessions midway through the fourth quarter, but Herb Miller broke up Klugh’s pass in the back of the end zone to end the drive. FAU built its halftime lead courtesy of two Jason Driskel touchdown passes – the first one to Kamrin Solomon covering 20 yards, the second a 40-yarder to Willie Wright. The Owls won despite playing without starting tight end Harrison Bryant, who injured his left ankle against FIU the week prior. Without Bryant and John Raine, FAU started redshirt senior Dustin Bowens at tight end. When the Owls looked to throw to the tight end they inserted D’Anfernee McGriff, who caught three passes for 48 yards. With the win, first-year head coach Lane Kiffin tied his predecessor, Charlie Partridge, for the second most wins in program history with nine. “Hopefully this will be a distant memory for us some day, how poorly that we played, because we really have not played a bad half of football probably the entire conference season,” Kiffin said. 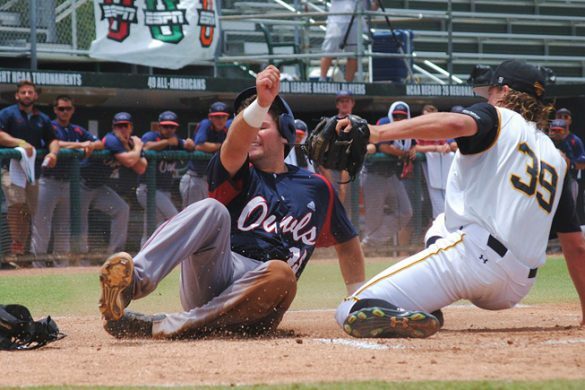 The game concluded FAU’s regular-season schedule, but the Owls still have two games remaining on the season. 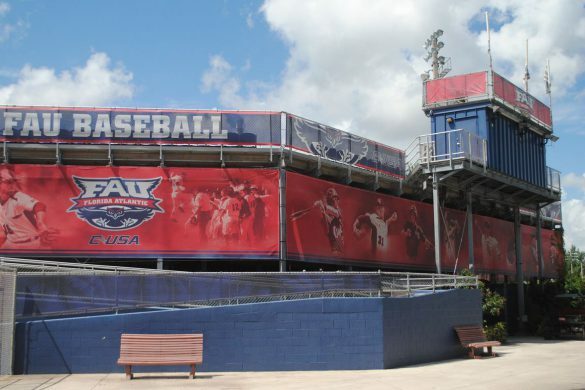 FAU hosts North Texas on Saturday in the Conference USA championship game on Saturday. Regardless of that outcome FAU will head to its first bowl game since 2008. 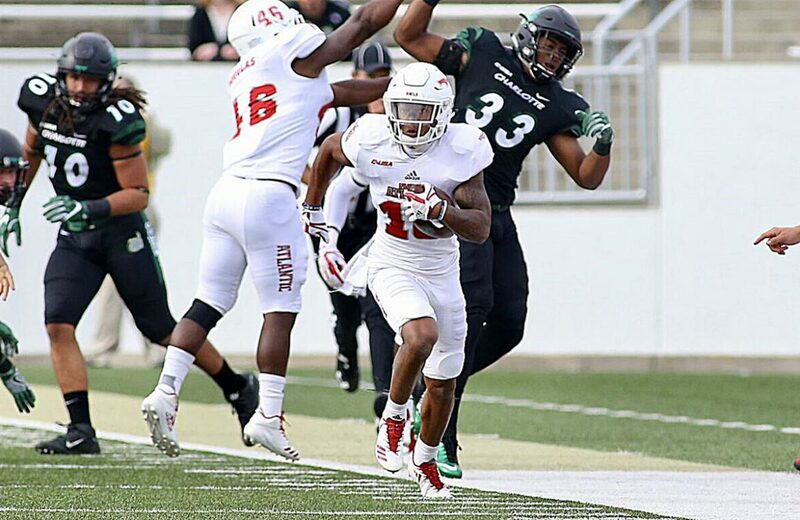 TURNING POINT: After Charlotte halted FAU’s first possession with a fourth down stop, the 49ers tried their own fourth-down play – a pass off a fake punt – that failed, giving the Owls good field position. FAU quickly scored its first touchdown of the game and Charlotte never truly threatened. 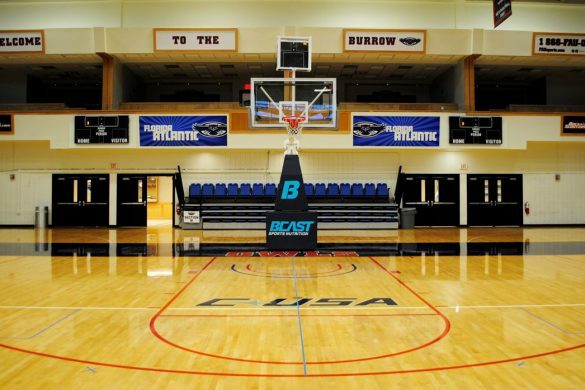 Down year for Conference USA? Maybe. But that doesn’t in any way diminish what FAU accomplished this season. Playing undefeated football within the conference schedule is never easy. 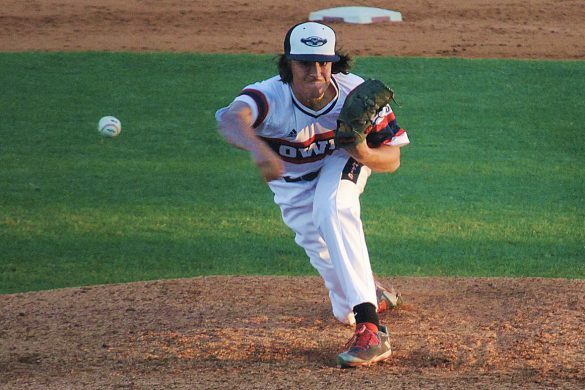 FAU may not have played well at Charlotte, but the Owls excelled throughout the past two months. What they’ve accomplished is exceptional. The players and coaches deserve all the accolades they’re receiving. Having defeated arch-rival FIU the week prior and with the Conference USA title game coming next week, even Lane Kiffin mentioned during the week that the trip to Charlotte had the makings of a trap game. FAU played uninspired football on Saturday. That should change next week. 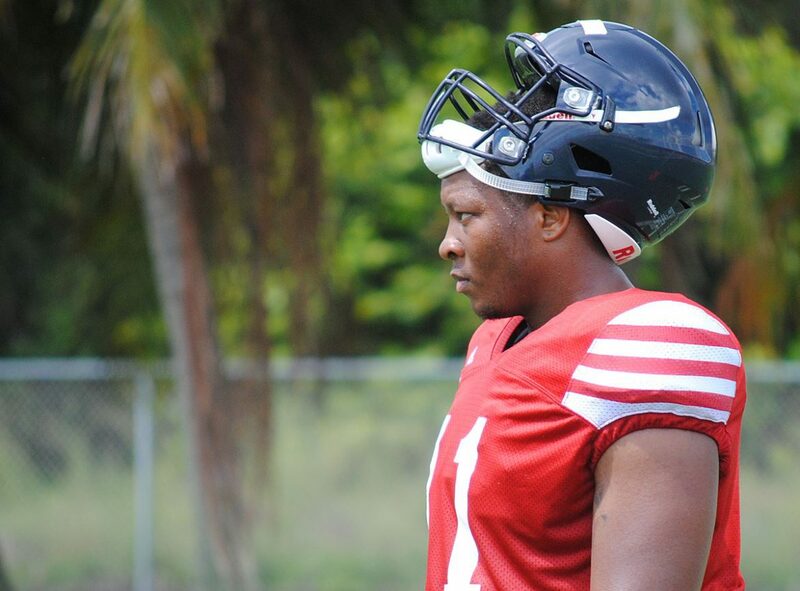 D’Anfernee McGriff showed why the Owls were so happy in February that he signed with FAU. He looked powerful and elusive, and showed good hands catching the ball. McGriff’s move from wide receiver to tight end, which started long before Harrison Bryant’s injury, slowed his progress, but McGriff looks ready to contribute in the postseason. Where have all the turnovers gone? After being shutout in the turnover department once again, FAU has now gone three consecutive games without forcing a turnover. Maybe they’re saving them for the postseason? 3 – Touchdowns shy of the Conference USA single season rushing touchdown record for Devin Singletary, who scored rushing TDs No. 25 and 26 on Saturday. Kevin Smith, Singletary’s position coach, set the record while at UCF. 4 – Sacks by FAU, which, thanks to the magic that is the half-sack, were spread among five players. 5 – Drives to end the game that did not yield points for FAU. 7 – Tackles for Azeez Al-Shaair, which led the Owls but was one of his lowest totals in a while. 9 – Receptions for 103 yards and a touchdown by true freshman Willie Wright. He also carried the ball three times for 37 yards in his most complete game as an Owl. 10 – Completions for Jason Driskel on 13 attempts in the first half. Two of those went for touchdowns. 118 – Rushing yards for Devin Singletary, to lead the Owls. 294 – Total yards for FAU in the first half. The Owls held Charlotte to 146. Up Next: FAU will play in a Conference championship game for the first time in program history. The Owls host North Texas on Saturday in the C-USA title game. Kickoff at Howard Schnellenberger Field is scheduled for Noon. BOCA RATON – An FAU team that’s used a revenge-as-motivation approach all season has a different incentive to draw upon for Saturday’s regular-season finale at Charlotte: Perfection. Winners of seven consecutive games, a win on Saturday would cap a perfect run through Conference USA play. “It means a lot because it’s special – something that we haven’t done as a program,” linebacker Azeez Al-Shaair said. Were it not for the perfection potential, it could be easy for the Owls to overlook the 49ers. FAU (8-3, 7-0) has already clinched bowl eligibility and will host the Conference USA title game on Dec. 2 against North Texas. The Owls might not even need their best effort defeat a Charlotte (1-10, 1-6) team that will be playing its final game of the season on Saturday. Earlier this week FAU coach Lane Kiffin tried to keep the Owls from getting sucked into a relaxed state. Of course, if all else fails FAU players can still draw on their desire for revenge. Last season the Owls thought they had beaten the 49ers after Jason Driskel connected with Kamrin Solomon on a Hail Mary pass, only to have the replay official rule that Solomon failed to get a foot down in-bounds. Charlotte escaped with a 28-23 victory. Key for the Owls: Contain Charlotte quarterback Hasaan Klugh. For years the Owls struggled mightily against mobile quarterbacks. That hasn’t been the case in recent weeks – which is true progress. Klugh, who can hurt defenses with his arm and his legs, threw three touchdown passes in last year’s game. He’s the most dynamic Charlotte player on offense. Limiting his ability to make big plays will go a long way toward bringing FAU a victory. 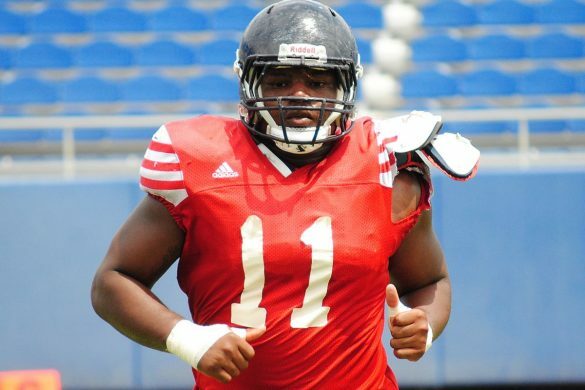 Shorthanded at End: FAU could be without tight end Harrison Bryant on Saturday. The sophomore who’s emerged as a huge threat in the passing game this season injured an ankle during the Shula Bowl and watched the end of the game while on crutches. He was also absent from the beginning of Wednesday’s practice. Back-up tight end John Raine has been dealing with his own injury issues. 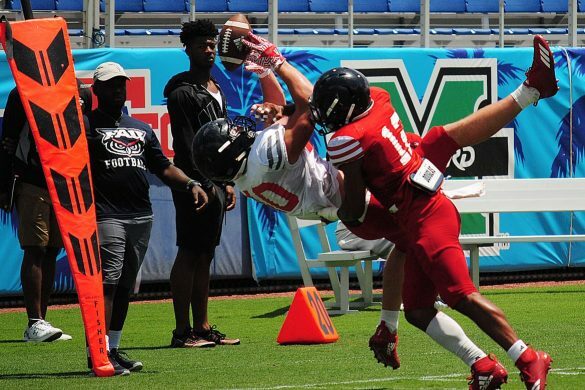 Should Raine remain limited, FAU would turn to redshirt senior Dustin Bowens, primarily a run blocker, and D’Anfernee McGriff, who began the season as a wide receiver but did catch a touchdown pass from the tight end position in the Shula Bowl. 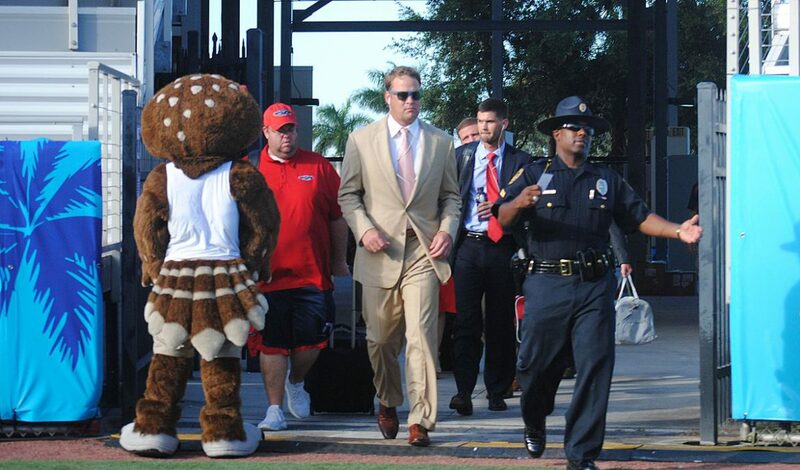 Coaching Milestone: If FAU defeats Charlotte, Lane Kiffin’s Owls will improve to 9-3 in his first season as coach. Those nine wins would tie Kiffin with his predecessor, Charlie Partridge, for second on FAU’s career coaching win list. 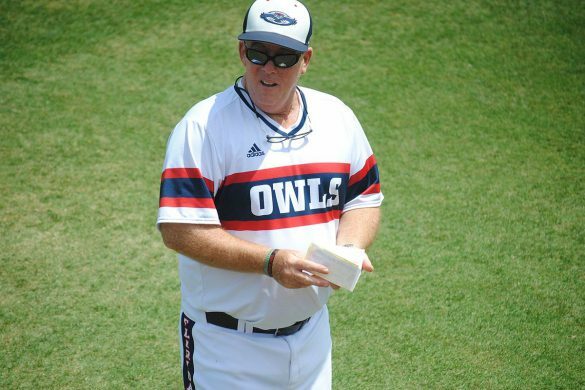 Partridge’s teams posted three consecutive 3-9 seasons before the Owls let him go a year ago.